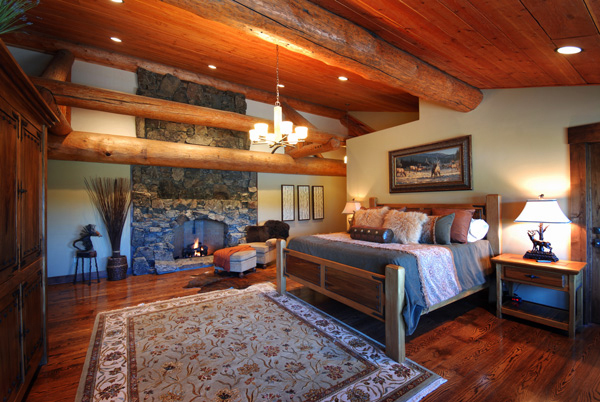 The Elk Suite is a beautifully appointed luxury, master suite. 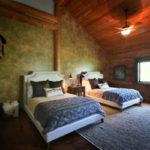 The suite features a gas fireplace, a King-sized bed and large windows with views of the hay meadows and the tree-lined river. 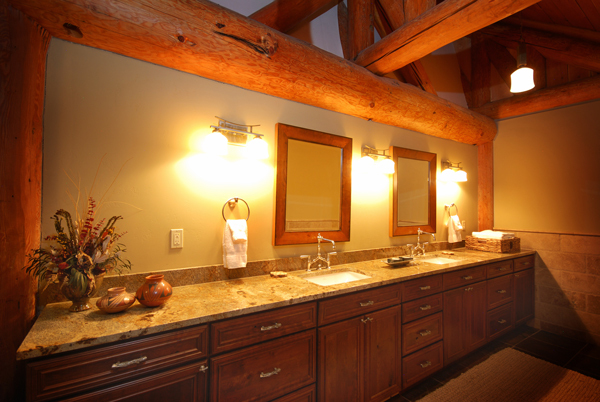 The en-suite bathroom has a large, beautifully tiled, walk-in shower. 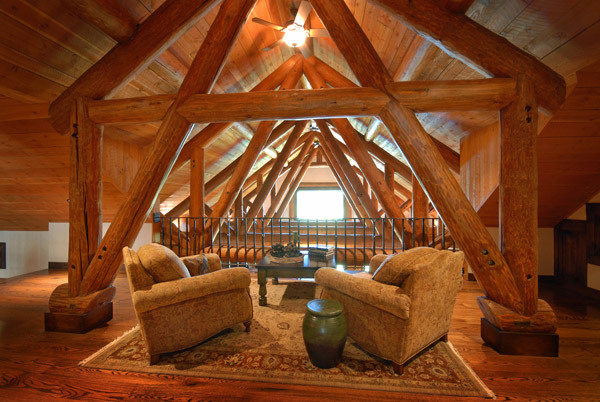 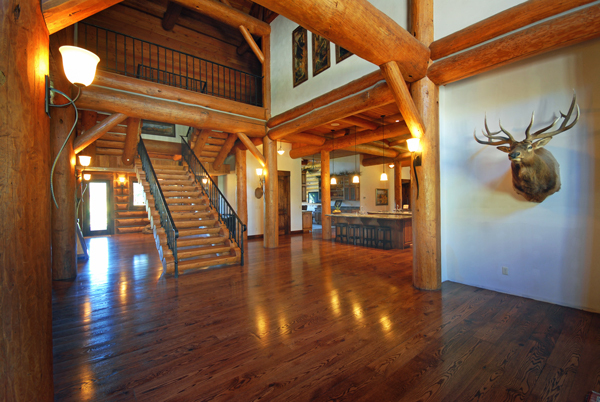 Located on the second floor of our Grand Lodge, the Elk Suite overlooks the river, our trout pond, and campfire. 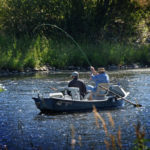 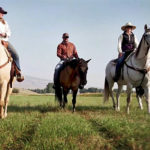 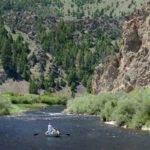 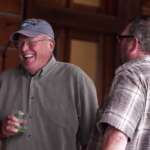 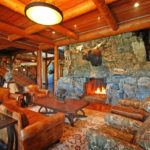 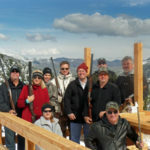 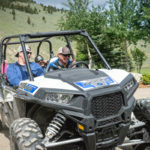 Suite rates include nightly lodging accommodations, three meals daily, and a choice of daily activities such as guided fly fishing, horseback riding, ATV tours, aerial photo flights or pheasant hunting. 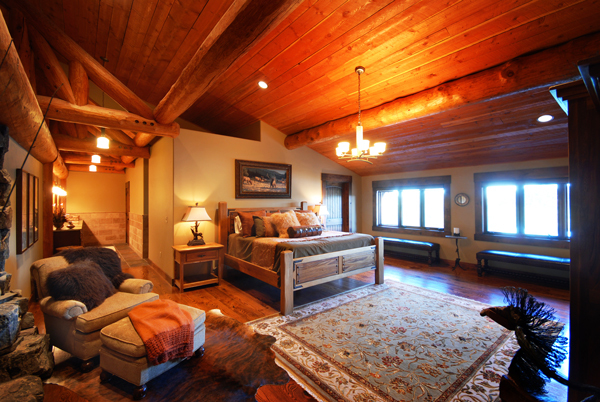 All inclusive, the Elk Suite rates are based on double occupancy.